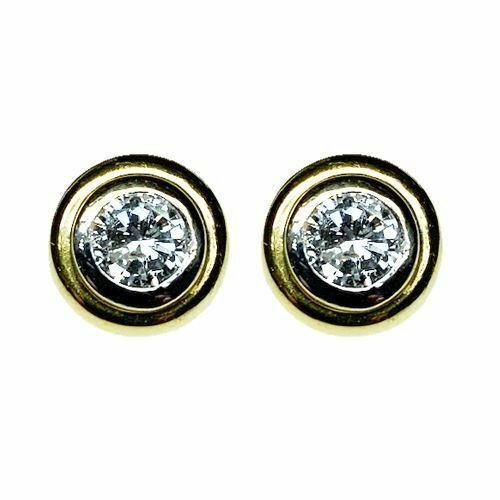 14k yellow and white gold bezel set diamond stud earrings. .75ct total diamond weight. I-J in color, I1 in clarity.